The most evolved standard end-mill of its kind. After much forward thinking and reverse engineering, we developed the perfect balance of versatility, smarts and durability. Then we found a way to manufacture it at a price as well rounded as the tools. But we didn’t stop there. We went back to the shop. 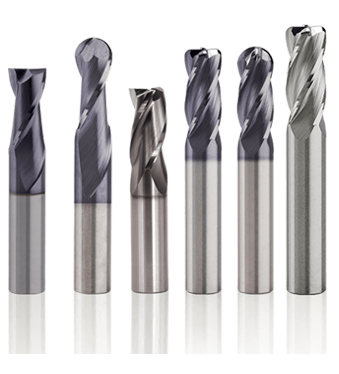 And after even more reverse engineering and performance testing – we hit the benchmark to which all other standard end mills should be judged, and then we produced those mothers in our standard 2, 3, and 4 flute tools. 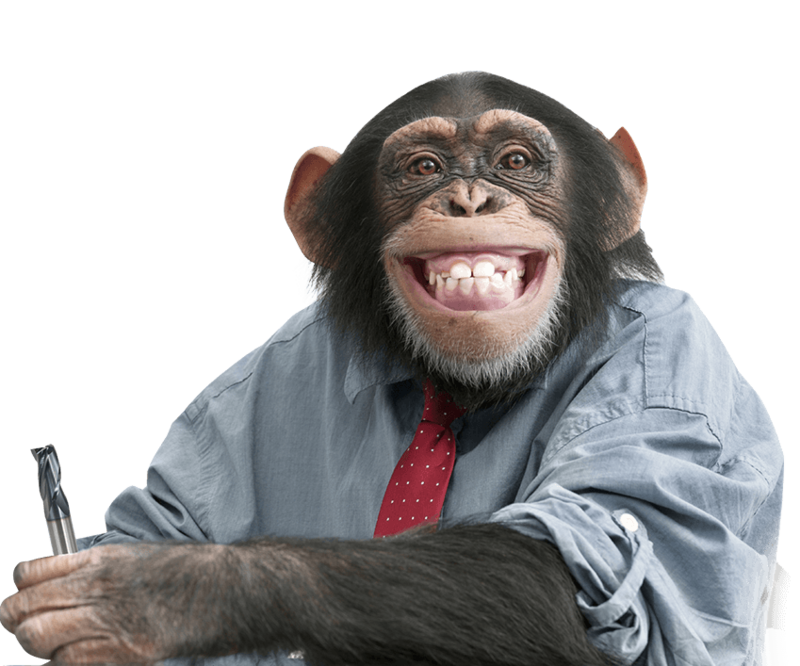 Extremely versatile in various materials, the Primate’s coating makes it super heat resistant and super hard, but super flexible. 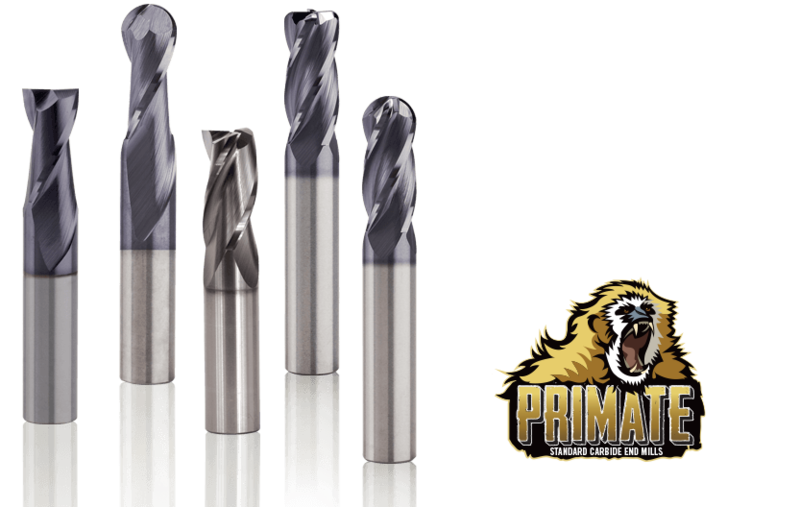 For use in all ferrous materials including high temp, high nickel alloys, the Primate stands out as the most versatile and most evolved standard end-mill of its kind. 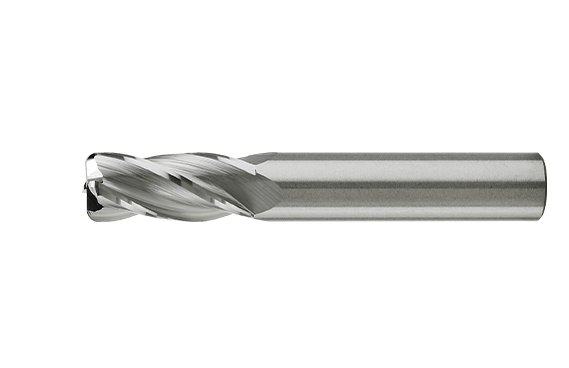 When an end mill first enters a cut, it will chatter and bounce then finally “settle in”. 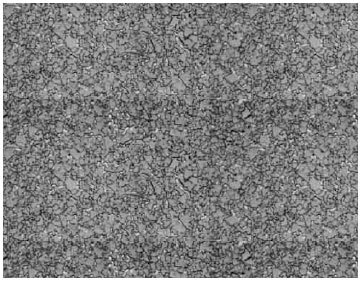 During that “settling in” process, jagged micro edges of carbide are fractured and the coating is removed. 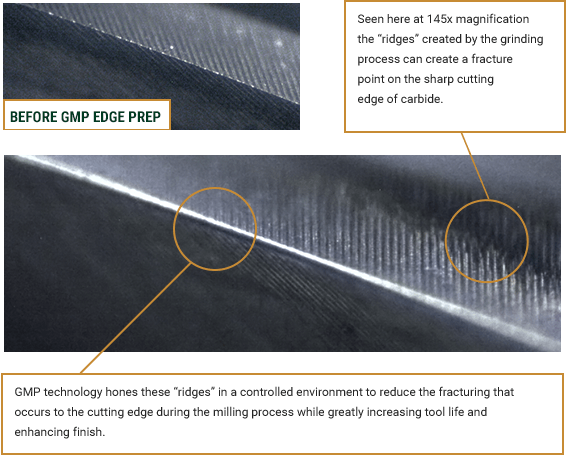 GMP is not just an edge prep. 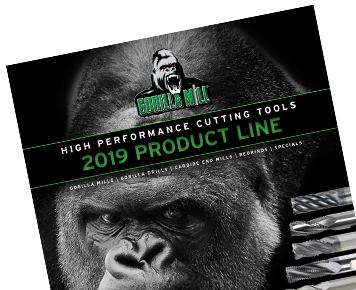 But a perfectly prepped edge using unique and proprietary geometries that are only found on Gorilla Mill products.